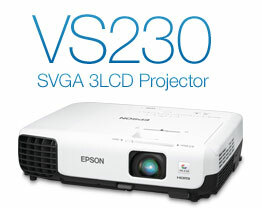 The VS230 projector offers essential business features at a truly affordable price. With a portable design and fast, easy setup, this versatile performer gets you up and running in no time, whether you’re presenting in the conference room or across town. 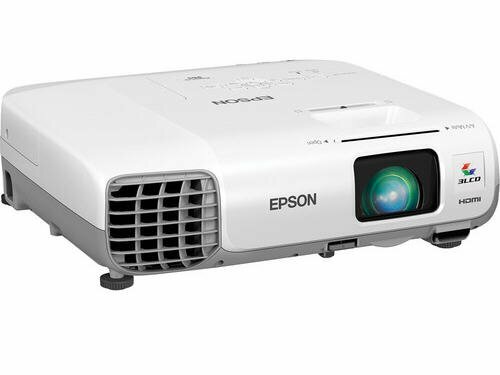 Offering 3x Brighter Colors1 than competitive models, Epson 3LCD projectors ensure bright, compelling presentations. The VS230 delivers great image quality, plus 2800 lumens of color brightness and 2800 lumens of white brightness.2 And, it includes Epson’s SimpleSetup Suite with HDMI connectivity, easy–slide keystone correction, and more, for a new level of flexibility and convenience. No matter where your meetings take you, you’ll be ready with the VS230. A suite of innovative features that ensure flexible placement and make setup fast and easy. Includes digital, HDMI audio and video connection, for HD quality with just one cable. 1 Compared to leading 1–chip DLP business and education projectors based on NPD data, July 2011 through June 2012. Color brightness (color light output) measured in accordance with IDMS 15.4. Color brightness will vary depending on usage conditions.